Zawadi Roundhouse next to the Aderdares. 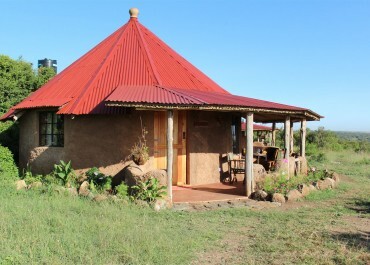 The Zawadi roundhouse is a beautiful Kenyan-style roundhouse and situated on Sandai Farm next to the Aderdares. 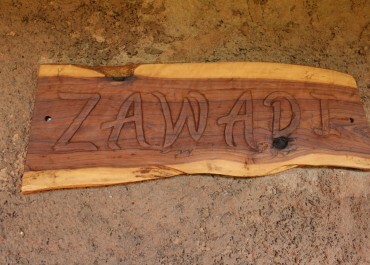 Zawadi is the best roundhouse for couples or families with children. The roundhouse, just like its neighbouring roundhouse Azizi, is made up of a large bedroom with a double bed and an open gallery where a further mattress can be added. 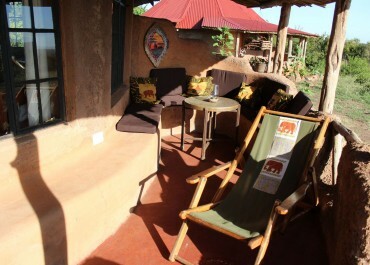 The roundhouse is fully furnished and a sofa and writing desk make the cosy interior complete. The ensuite bathroom is equipped with a shower, WC and washbasin. Bed sheets, pillows, duvets and towels are provided. The self-catering roundhouse has its own cosy verandah where you can enjoy the beautiful view of the magnificent Mt.Kenya. Directly adjacent to the roundhouse, and between the two roundhouses Zawadi and Azizi, is a fully equipped kitchen. The kitchen is also a round hut and has a gas cooker, sink, cooking utensils, dishes, a fireplace with a built-in pizza oven and a large dining table for approximately 8 people. The two Kenyan-style round huts are perfect for families with children or two couples who want to spend time together and yet enjoy the luxury of separate private rooms. The kitchen in the middle is a shared facility. The roundhouse is right next to the almost identical roundhouse, Azizi. 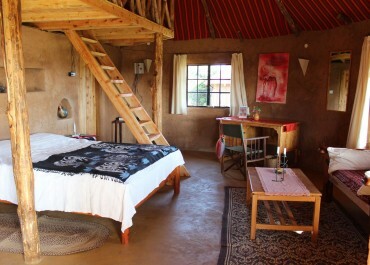 Comfortable and cosy Kenyan-style round hut with a double bed, ensuite bathroom, wardrobe, writing desk and sofa. Separate fully equipped kitchen.